Provide quality kitchenware that makes preparing your food enjoyable and effortless. Our wide variety of kitchenware will serve all your cooking needs in slicing, dicing, and blending together all the ingredients into a freshly prepared meal. A range of products in the kitchen to help you prepare your food. Prepare your food the way you want it fresh and ready to eat. Perfectly sliced and mixed for you to enjoy your meal. Thank you for your inquiry! We'll get back to you within 48 hours. Our first product is the "Freshpire Citrus Squeezer". 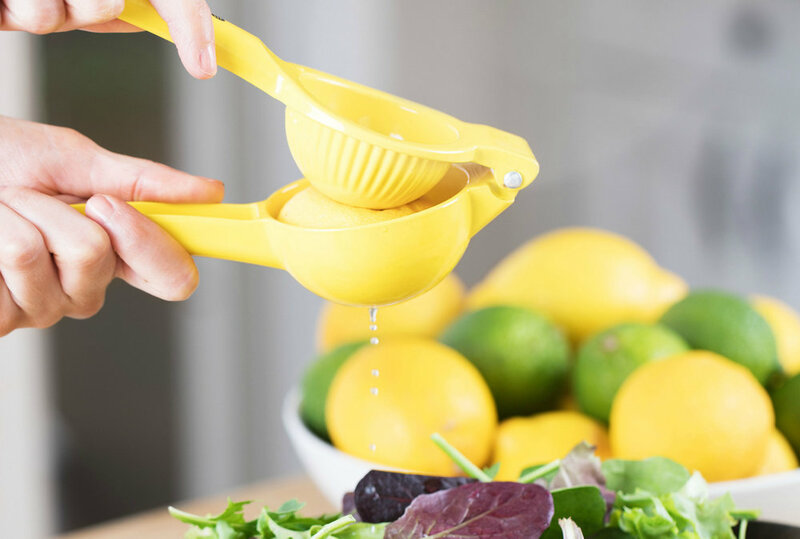 Hand-held citrus squeezer that squeezes small to mid-size lemons into freshly squeezed lemon juice and also limes and small oranges for fresh lime and orange juice. No complex electronic juicer that leaves seeds and pulp to clean up afterwards. Freshly squeezed citrus perfect for daily cooking and baking. Compact diecast aluminum handheld squeezer. Squeeze fresh lemon juice quickly and easily. Add a splash of refreshing lemon to cocktails. Add a splash of refreshing lemon to salad dressing. Add a splash of citrus to marinades for meat. Add a splash of citrus to grilled meats. Be the FIRST to know about discounts, product updates, and give aways. Exclusive Fresh VIP Membership includes 100% Lifetime Money Back Guarantee warranty. Thank you for subscribing to Fresh VIP Club!